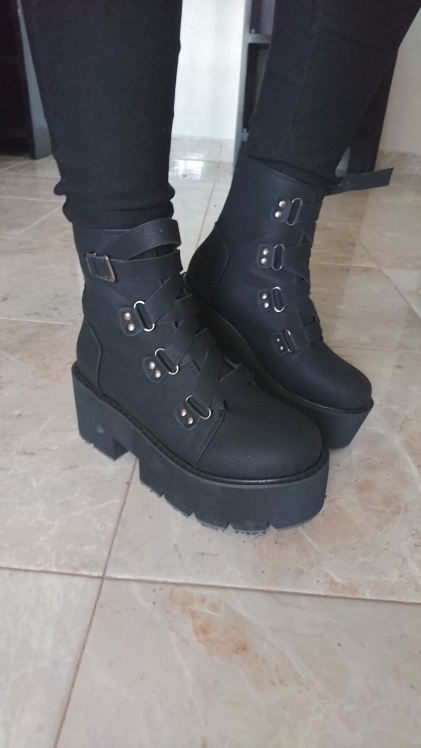 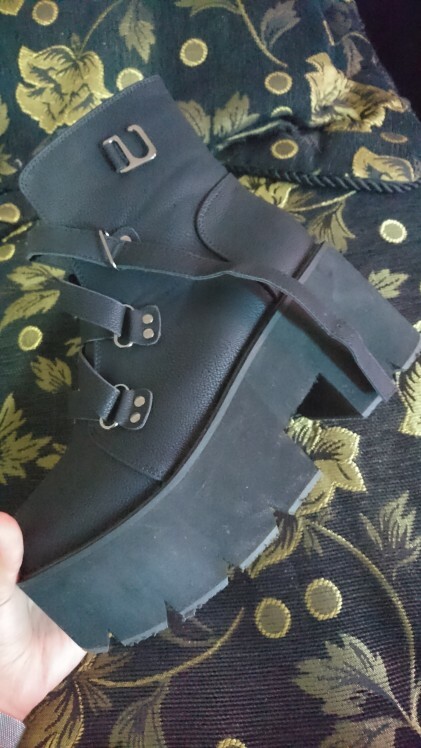 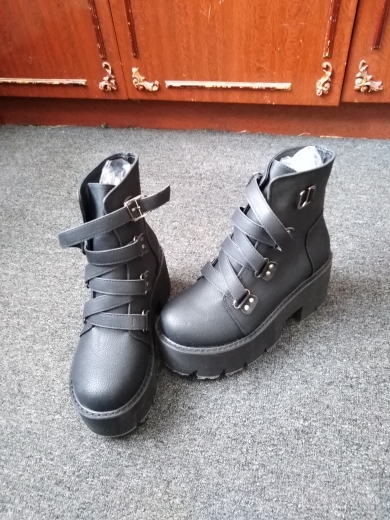 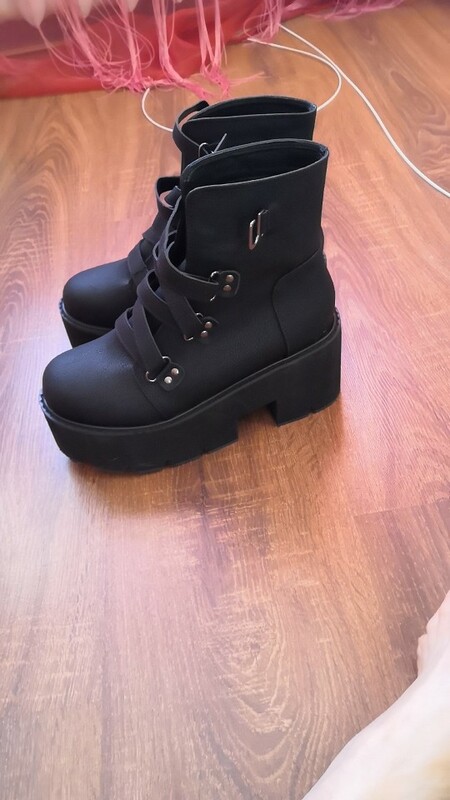 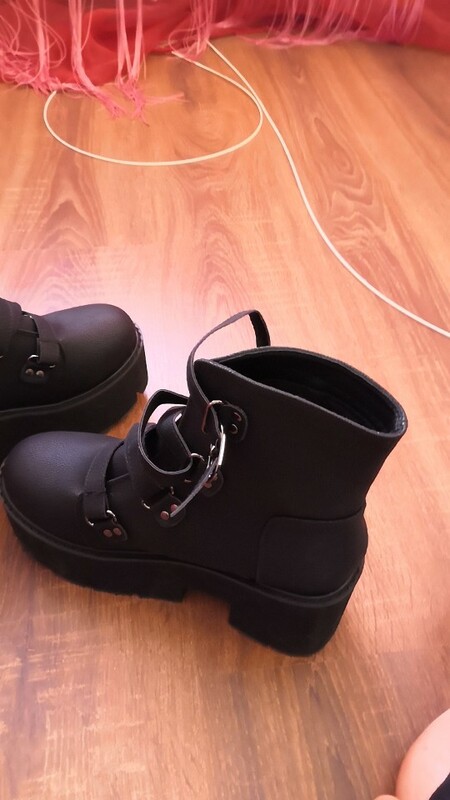 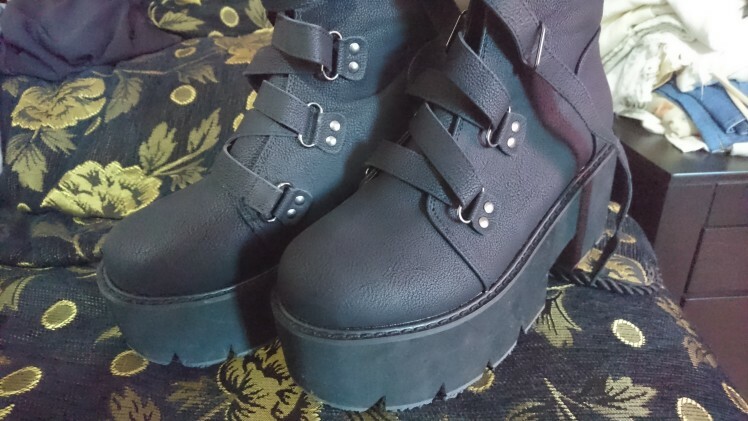 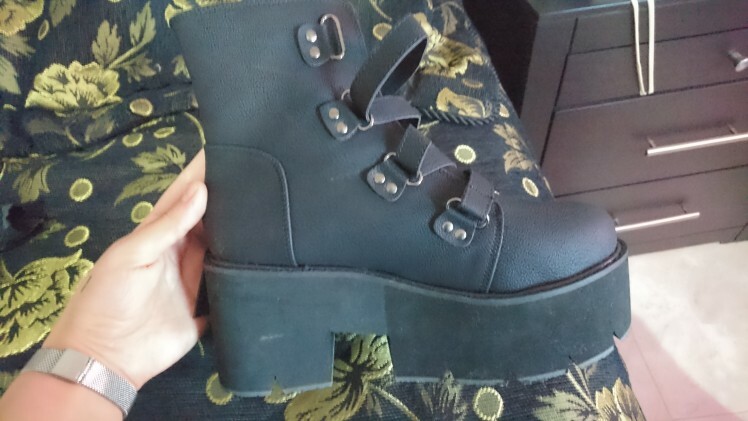 A goth pair of platform boots with a chunky af sole and a long strap to buckle you up with at the top. 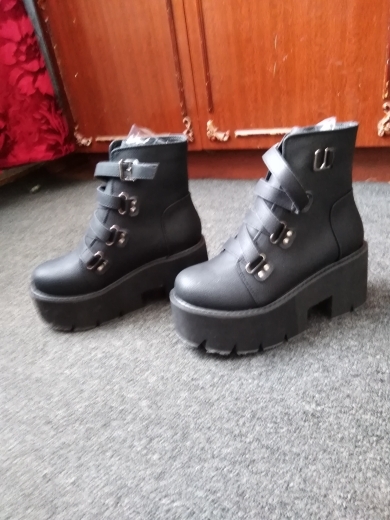 Took about 25 days to come. 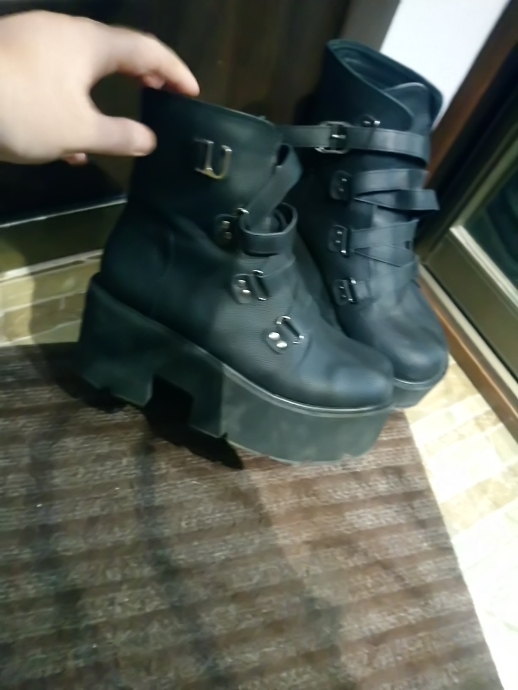 Many wrote that they are a little small, so I took a larger size, but they turned out to be a little big. 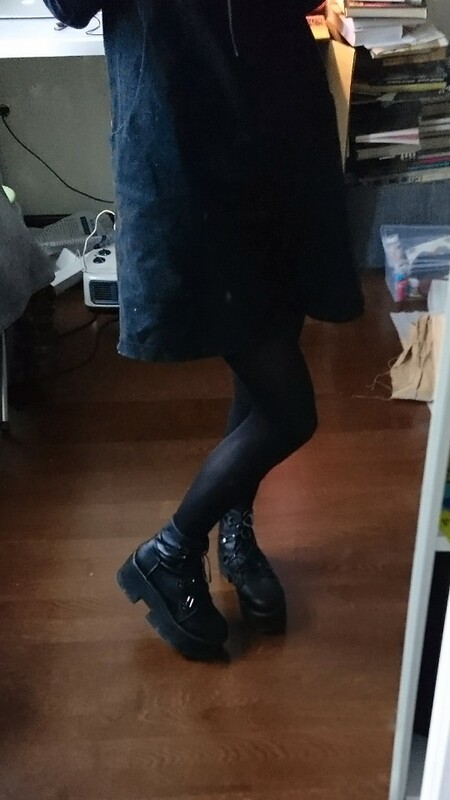 (It's ok when I wear thicker socks) I wear them everyday. 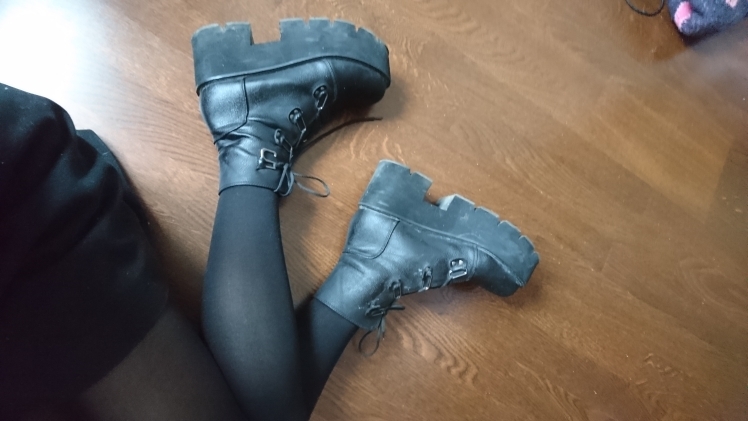 Very comfortable.There was a slight smell, but quickly disappeared. 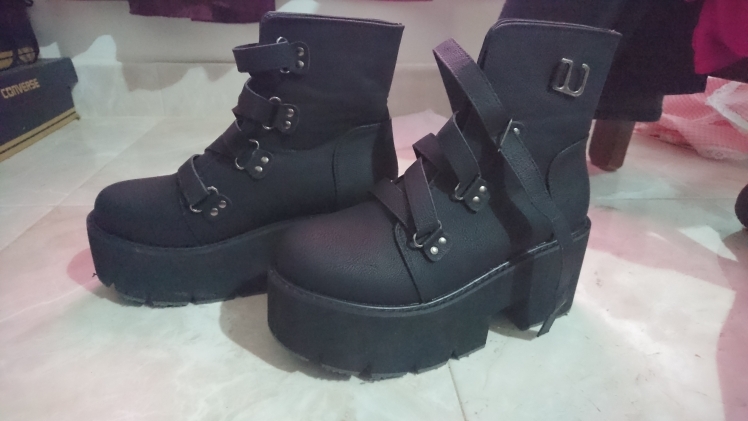 Satisfied.